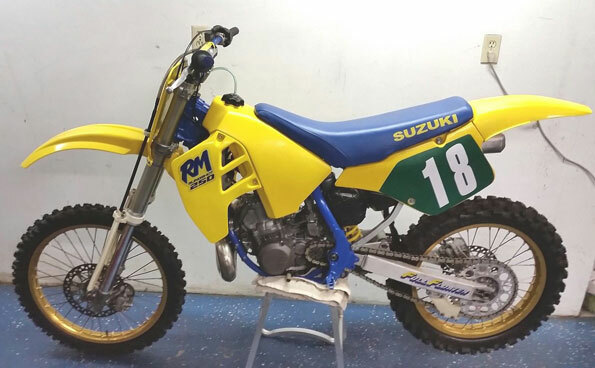 1989 Suzuki RM250 that’s been gone through and is ready to go. Has fresh top end, new aluminum radiators, new gold rims with new tires, new o-ring chain with Renthal sprockets. FMF pipe. Suspension works good with fresh fluid. All bearings cleaned and freshly greased. New plastics. OEM Gas tank that’s been restored to look like new again.